Efficiently securing hallways, stairwells, or other tight corridors is trickier than it seems, often requiring multi-camera installations. Thanks to Dahua’s dual-sensor technology, you can now capture images in those hard-to-secure spaces all with increased flexibility and simple installations. Whether required for school hallways, bank corridors, delivery vehicles, or any other corridor application, these cameras play a pivotal role in security solutions. Dahua’s specialty 2x2MP IR Dual-Sensor Dome camera provides two progressive Scan STARVIS CMOS sensors in a single indoor/outdoor rated housing, meaning less time and money spent on installation. These sensors can be positioned and configured independently of the other, allowing for flexible multi-directional video surveillance that is ideal for monitoring a traffic intersection, hallway or corridor with a single device. It also offers True Wide Dynamic Range and a True Day / Night IR Cut filter, enabling superior video quality in challenging lighting environments. 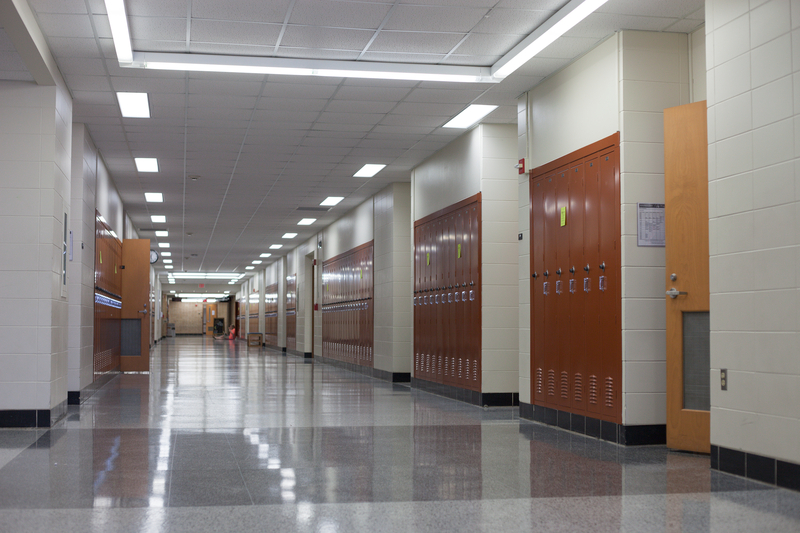 For educational institutions where monitoring students is a top priority, utilizing cameras with dual-sensor functionality allows security to focus in on entire hallways or stairwells. This means educators can keep students safer, while minimizing the budgetary impacts. At banks, and other financial institutions, securing the corridors leading to vaults is always top of mind. Utilizing dual-sensor cameras allows for better vault security by zeroing in on the hallways leading to it. For mobile businesses who operate out of delivery trucks, dual-sensor cameras provide security for the cargo they house in the back. City surveillance can also put dual-sensor cameras to good use to monitor entire streets and city blocks. No matter what the vertical deployment, see what’s in front and behind with powerful dual-sensor cameras. Dahua’s new offering allows for increased flexibility and reduced installation time, all in one powerful surveillance camera.